Colors are beautiful! But when it comes to deciding the color for your living room why does it not help? The shade card gives a huge palette of colors to choose from, and yet we can't decide what to do with the room walls, the sofa fabric or maybe the decor! 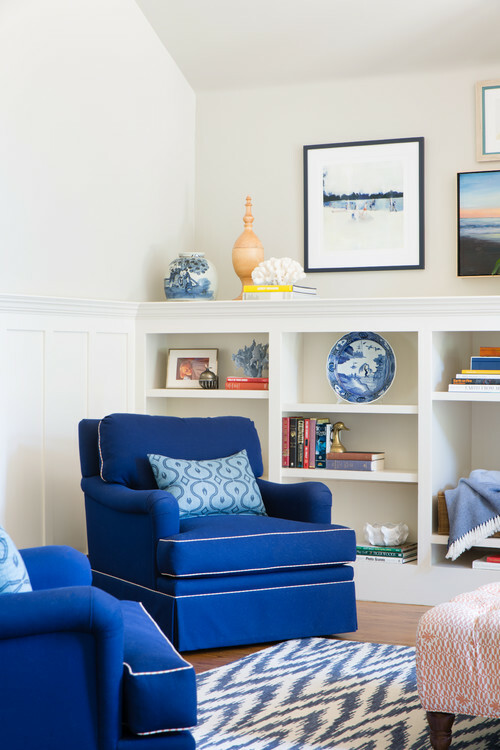 If you’re still stuck on what color to go for, read along with my favorite living room colors palettes and decide which one suits you the best. Before you begin, keep a basic idea about the vibe that you want to create in your living rooms, because colors play a vital role in creating that vibe and if you have a headstart beforehand it will be easier for you to chose. Never underestimate the power of neutral colors. We are talking about beautiful blends of browns, beiges, and tans. You would have seen them in a lot of places, and yes they do look amazing. 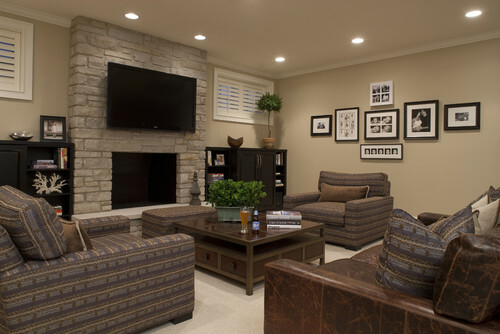 The neutral colors create a warm ambiance. To play around with these, you can go for neutral walls, adopt decor and furnishings in a brighter hue. This will help you create a balance. 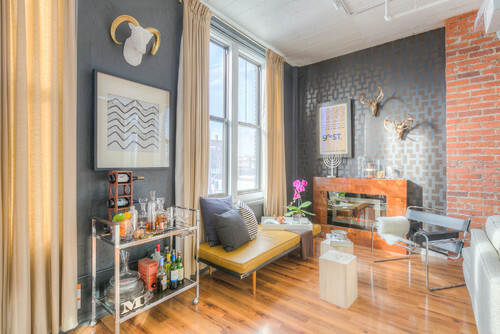 Avoid mixing too much of color as it can give a clustered look. Lighting is very important while using this palette. Use warm temperature light (these are lights which give a yellow hue, you can look it up in the lighting catalogs), please avoid white lights as they will just kill the soft vibe. As the name hints, we are talking about whites and blues with a pop of bright color here and there. This will aim to make your room a lot more airy with a cool atmosphere. Try to keep plain white walls, textured would also look nice with blue draperies and contrasting furnishings. The flooring here also need to be paid attention, go for solid light color flooring or minimalistic pattern. 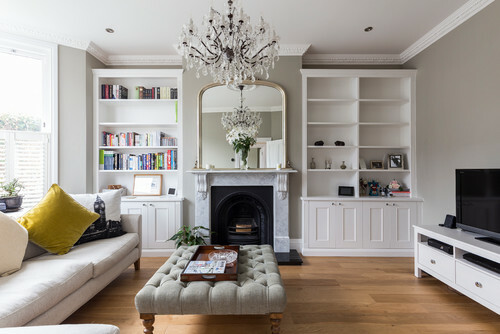 Anything heavy or intricately ornate should be avoided as we are aiming for a light look. If you are one of those people who love dark colors and has been planning since forever to bring that dark hue to your room, then now is the time. 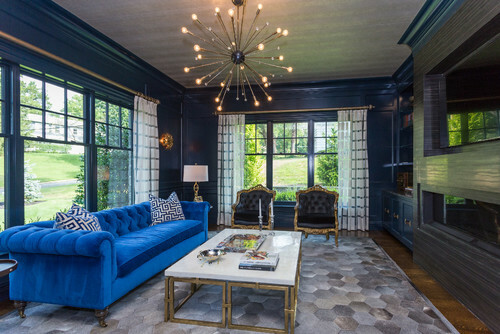 2018’s latest interior color trends hint at dark and saturated notes. 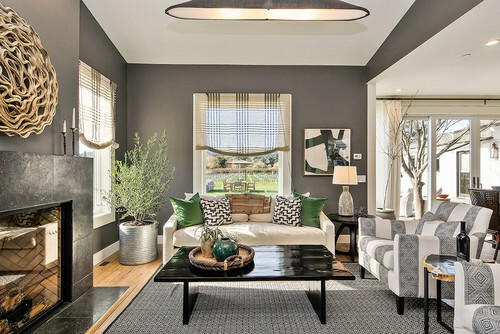 The hot favorites colors here include dark greys, emerald greens, and rich purples among others. But you need to be a little careful while going all dark and rich in your living room, to avoid dullness and too much dark opt for a contrasting color in decor and Furniture. Cream colored or white furniture with a splash of metallic bling works beautifully with a darker hue surrounding. This palette is for those who are obsessed with the bright shades. The key with a colorful living room is striking the perfect color balance. 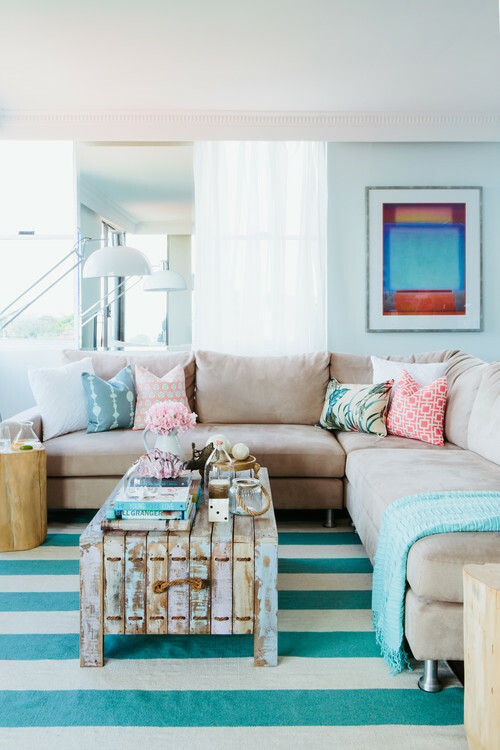 Too much or too little can actually just kill the bright happy vibe of your living room. Use a mix match of pink with greens ( you can vary the shades ranging from dark pinks to lime greens, try to find the perfect balance for your space in accordance with the furniture), or yellow and blue, maybe just orange with white. The cue here is to find two colors that brighten up your living space. Have a look at the images below to get an idea of how the colors coordination can be worked. How could we forget the age-old elegant combination of classic white with gold? 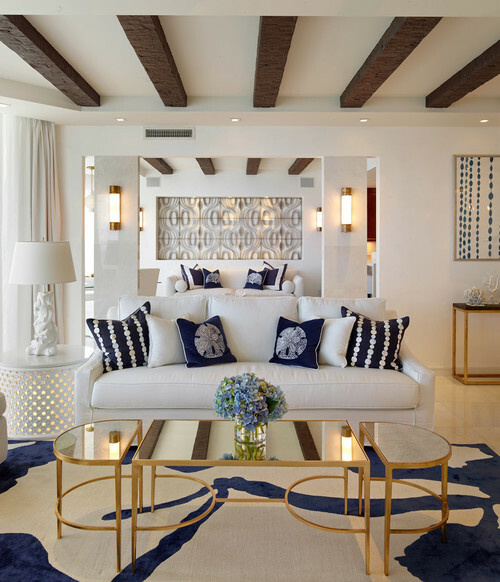 This color palette has donned rooms all over the globe, especially with the royalty. The rococo style of architecture draws inspiration from the classic combination of white and gold. It is simple, yet bold and can never go out of vogue. This style can also be adopted with minimalistic furnishings. Plain white walls, drapes or curtains and sofa with a lot of metal work finished in gold paint. If you want to add a bit of color, you can go for simple living room rugs, carpets or home decor items, avoid a lot of color on walls or fabrics. The visuals below will give a better idea on how to adopt this look!